This is a little preview of a beautiful new release coming soon from Trimcraft. 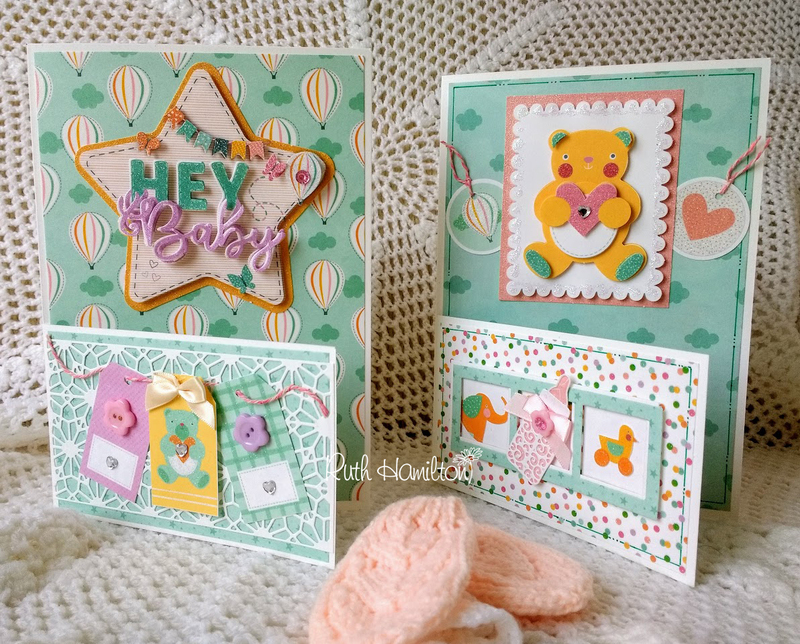 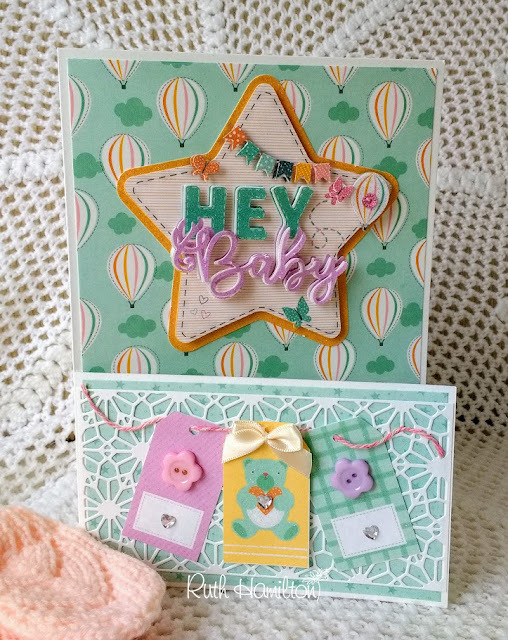 It's called "Hey Baby" and consists of 6x6, 8x8 and 12x12 paper pads along with an 8x8 decoupage pad. 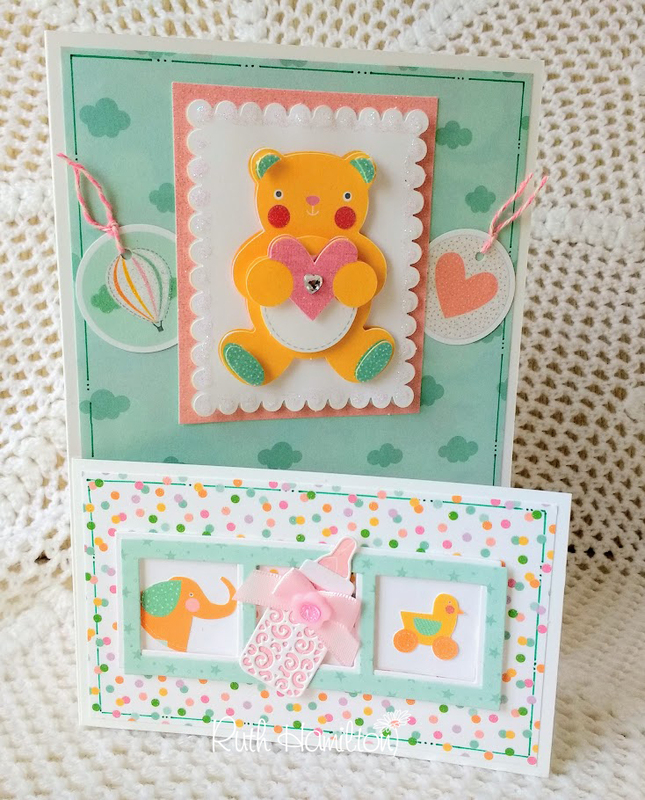 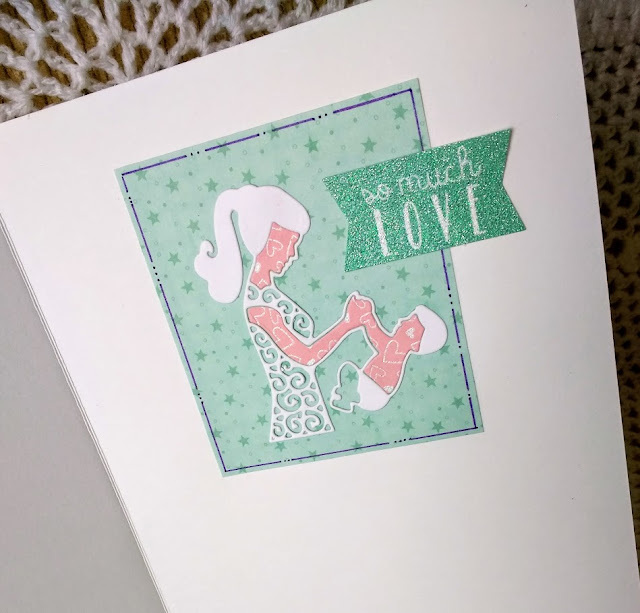 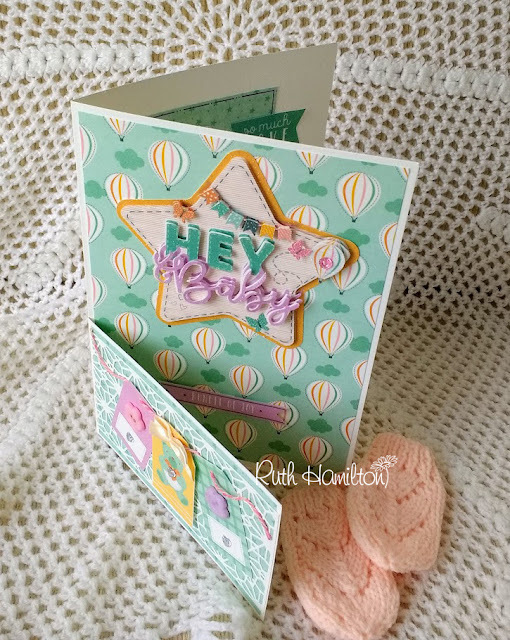 I've used the 8x8 paper pad, decoupage pad as well as First Edition dies and buttons, gems and bows from the Simply Creative range. 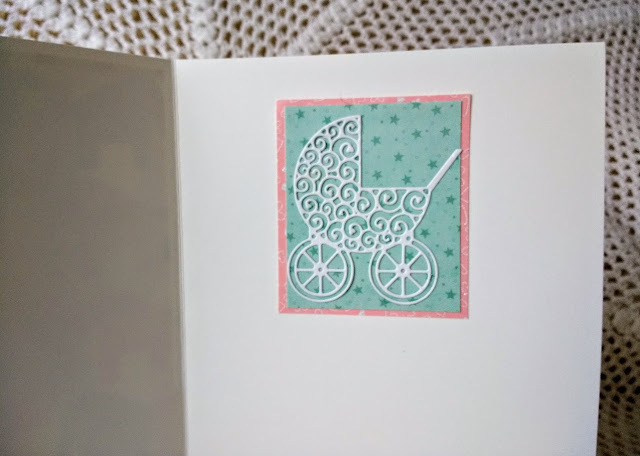 The little tags are on a sheet inside the paper pads. 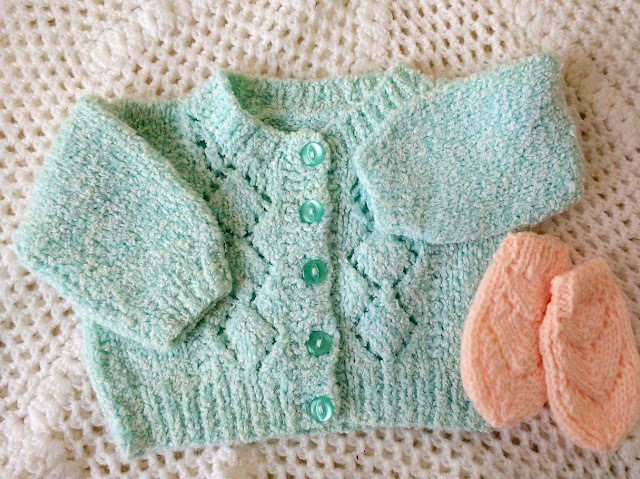 It's hard to believe that I knit this little cardigan about 27 years ago and it was worn by both of our sons!